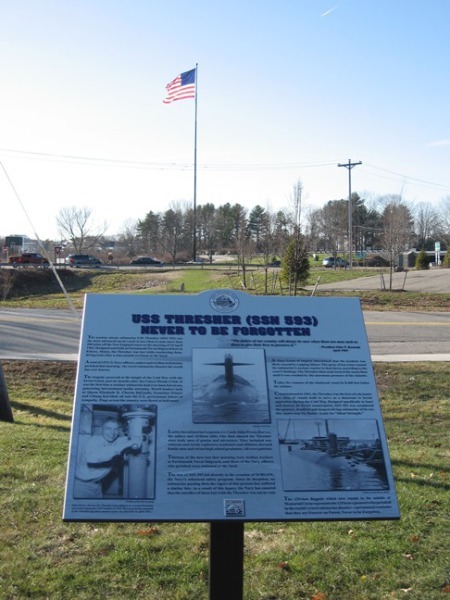 Memorial Park is located on Rogers Road, next to the Kittery Town Hall, a few hundred yards east of the Thresher Memorial Flagpole and Memorial Circle. 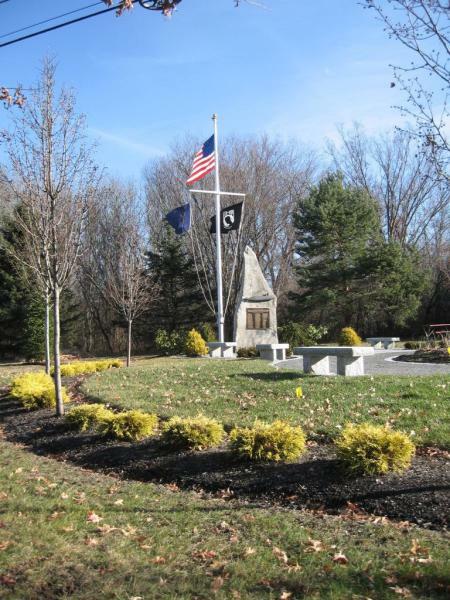 In addition to its memorial honoring those who perished when THRESHER was lost, Memorial Park is also intended to support future memorials to Kittery citizens who have served the Town, State or Nation - veterans, first responders, and Peace Corps volunteers. Memorial Park Circle of Honor monumentation, landscaping, and ornamentation were completed with more than $210,000 contributed by 429 donors, whose participation was vital to this effort. Memorial Park was dedicated in a beautiful ceremony on May 26, 2014. Irene Harvey Flagpole behind Thresher Monument, on the Circle of Honor in Memorial Park. USS THRESHER Historical Marker in Memorial Park, looking toward Thresher Memorial Flagpole in Memorial Circle.